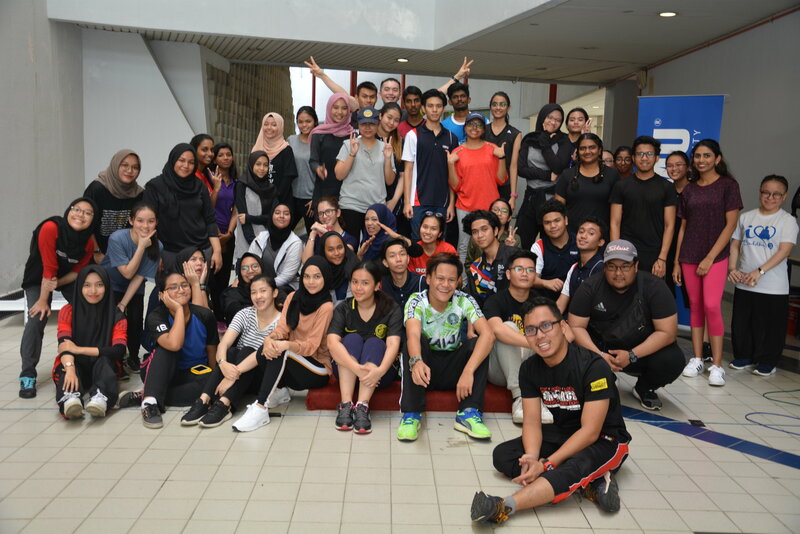 Faculty of Applied Communication (FAC) organised an event called “Physical and Mental Health Well-Being: Keep Fit!Be Fit! #GoForIt” at FCM Atrium and FCM Lobby recently. This initiative was led by the Foundation in English team, in order to raise an awareness on issues concerning Mental and Physical Health among university students. 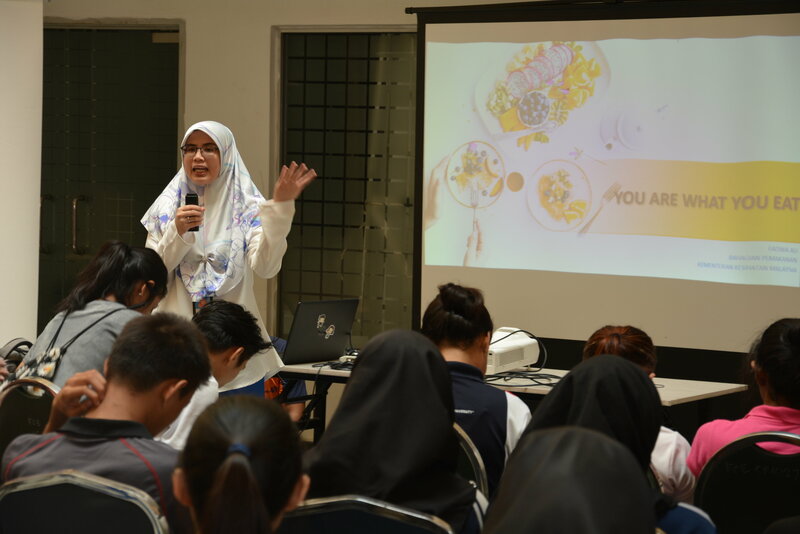 More than 45 students attended the event and it was graced by Dr. Ong Sue Lyn, Dean of FAC. The event began with the physical activities conducted by the representatives from Celebrity Fitness. 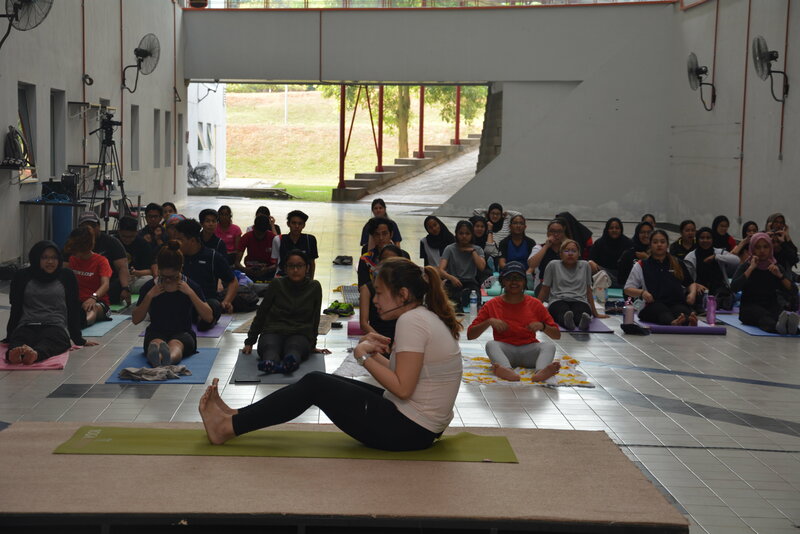 The attendees were introduced to Basic Yoga, whereby they were exposed to simple techniques of yoga and how yoga can help strengthening mind, body and soul. 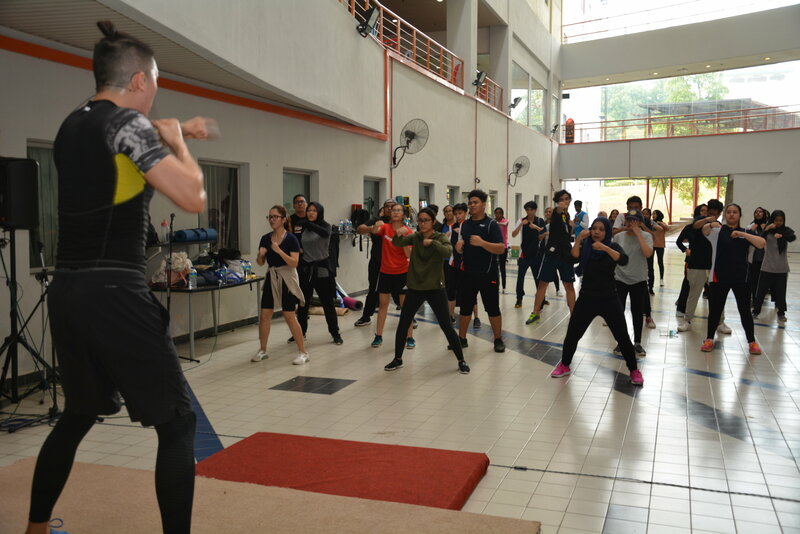 Another exercise was Body Combat, which relates to the Mixed Martial Arts movements for overall body workout. 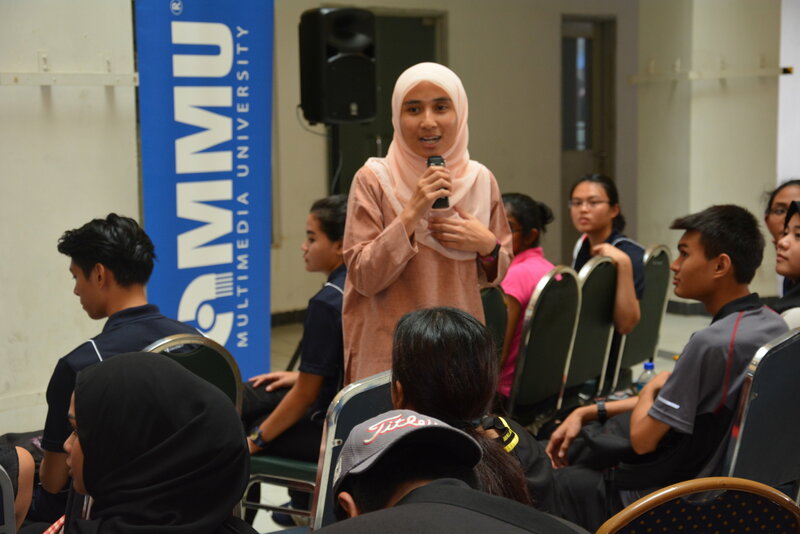 Besides that, the attendees were also given a talk by two speakers from Ministry of Health, Puan Fadwa Ali from Food Unit who addressed the issues of Good Nutritional Habits and Puan Nurhuda Basiran from the Mental Health Unit who had shared on the issues of Mental Health concerning the youth. Participants were able to know their mental health score as the team from Mental Health Unit had set up booth for participants to understand their mental health score through simple questionnaire and also were given time for personal consultation. Overall, the event was a success where it is not only addressed the fact that many students do not do physical activities, but it also has helped the attendees to have the awareness on how to overcome stress and depression.